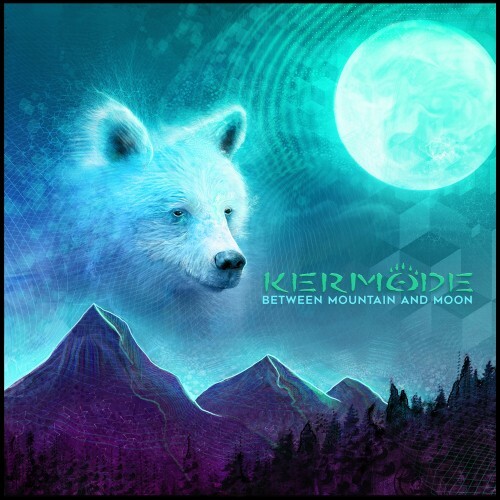 Vancouver-based producer Kermode has prepared his first ever full length album, 'Between Mountain and Moon', out now on Gravitas Music. Both captivating and spirited, the release blends crunchy, psychedelic bass with a heavy melodic focus for a soulful electronic journey. Each track compliments the next for the perfect progression traversing both energetic, intense tunes and more nuanced, stirring offerings as well. Apart from the nine diverse original tracks, the album is also features three remixes from Dalton Richmond, Of The Trees, and The Digital Connection. The album opens with 'Visions', a bright, upbeat glitch-hop contribution that uplifts the listener to an ambient dimension with delicate instrumentation before unleashing a wave of synthetic fervor at the climax. Next, 'Cloud Keeper' pulls from future bass and dnb influences alike, creating a creepy, genre-bending thumper. 'Phantom Force' delivers a dark yet powerful element setting the perfect prequel to the album’s bass driven heartbreak anthem, 'Haunted', in which Kermode combines eerie synths with moving vocals for a truly emotional experience. While 'Moon Child' explores luscious and seductive downtempo atmospheres, the album effortlessly switches gears for the highly robotic and experimental 'Trinket'. Highlighting the complexity of his style, Kermode teams up with Spoken Bird for the world infused collaboration, 'Shake The Dust'. Dalton Richmond leads the collection of remixes with his spin on 'Moon Child', adding an enticing dose of electro funk to Kermode’s already smooth and sensual groundwork. Of The Trees supplies an enchanting take on 'Trinket', creating quite the smooth and distinctive adapatation. Lastly, The Digital Connection leaves us with a treat, delivering a dark and haunting take on 'Bliss' that easily evokes goosebumps within the listener. Follow @ClubTapes, @gravitasmusic & @Kermode_Music!